Dear lunch and dinner: we appreciate what you do, really, but you're just not as good as breakfast. Sorry. It's not you, it's us. 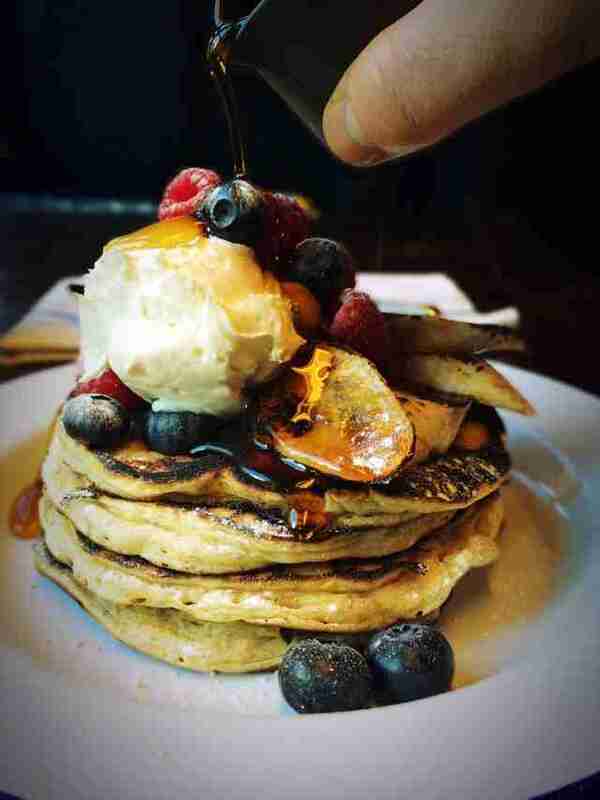 We just love our full Englishes, and our stacks of pancakes, and quite frankly, when you've been to these 11 London spots that'll break your fast like the fist of an angry god, you just don't feel the same way about other meals. 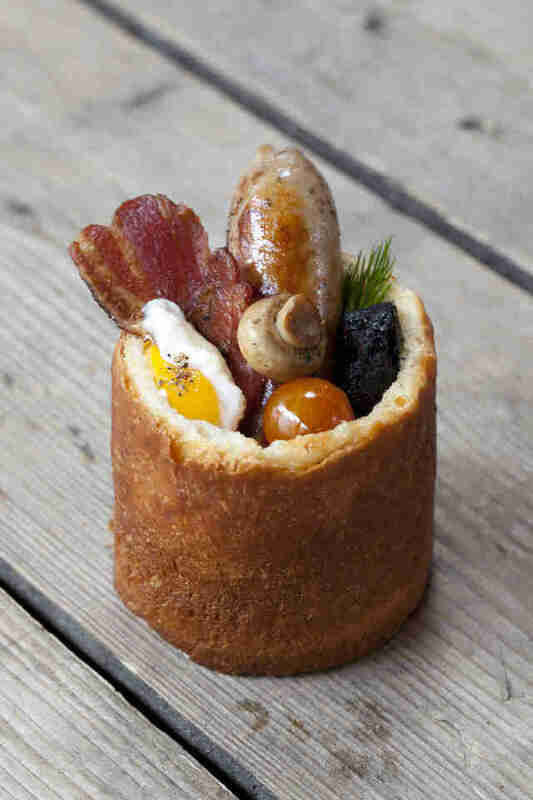 The thing about breakfast is that everyone has their own specific way they want 'em. Well at B&H, they give you a list of ingredients and you choose what you want. Chorizo and avocado? Boom. Bubble & squeak and salmon? Easy. Black pudding and confit tomato? Yours. The combinations are endless. One look at '70s-era Elvis Presley and you know the man liked food. 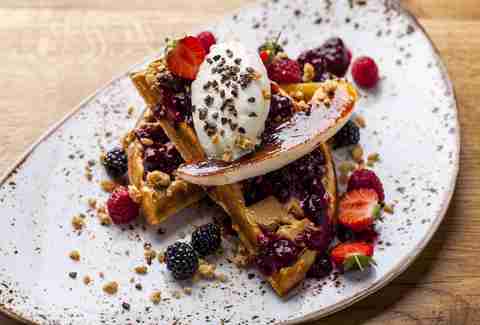 And his favourite foods are among those in this dish: peanut butter, brûléed banana, waffles, and cream. It'll ensure your table has a little less conversation. Venture along the canal in the middle of an estate and directly across from the Olympic stadium you will find this awesome cafe and roastery. 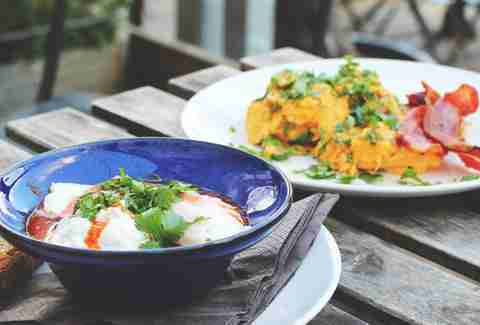 With a solid regular menu and some pretty spectacular specials like shakshuka and mackerel, poached eggs and potatoes, plus its signature coffee, grab a seat on its tropical pontoon and toast how lucky you are. 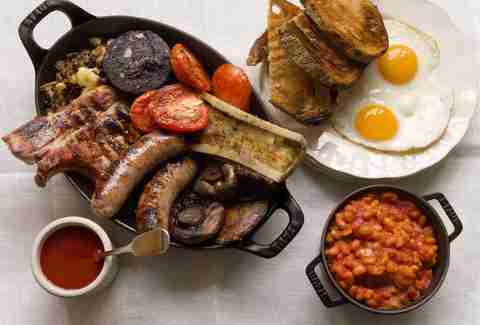 What's like a full English but isn’t? 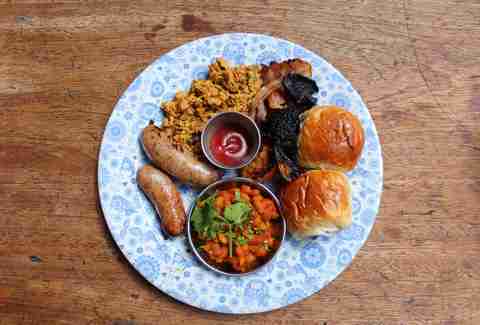 At Dishoom, tuck into a plateful of eggs, sausages, masala baked beans, mushrooms and pau buns... or if you’re pining for rasher-based pork, its Bacon Naan Roll has its own religious following. These guys take their chicken & waffles to the next level by adding truffle salt (and that's not even to mention their buttermilk pancakes or smoked meat hash served w/ a crispy fried egg). 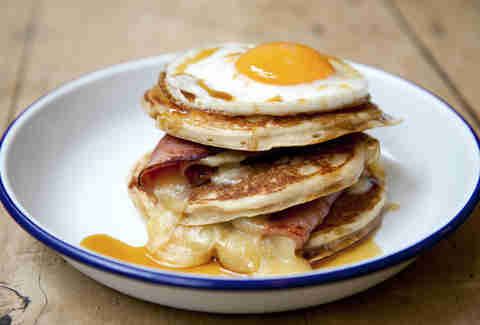 With a mini empire championing the best meal of the day, the BC's crowning achievement may well be the Ham So Eggsited; a stack of pancakes, cheese, ham and egg, drenched in maple syrup. 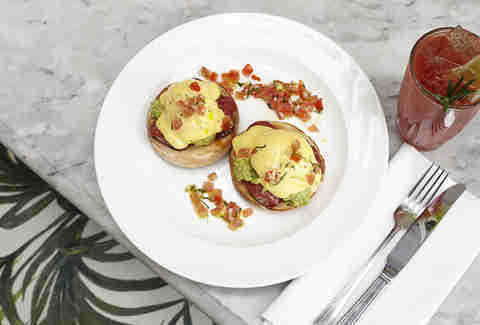 Some things are just better done in pairs and breakfast at Hawksmoor is one of them. 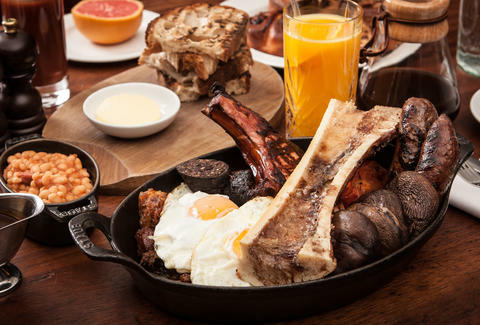 Its colossal breakfast is made for two and is stacked with a bacon chop, sausages, short rib bubble & squeak, black pudding, trotter baked beans, fried eggs, grilled mushrooms, unlimited toast -- oh, and that wonder food grilled bone marrow. If you’re flying solo or if your buddies don’t want to go halfsies, the Pig's Cheek Scrapple is the next best thing. When you think Peruvian, your mind likes to remember ceviche and grilled meats. It’s okay, those are delicious things to put in your mouth, but maybe not first thing in the morning. 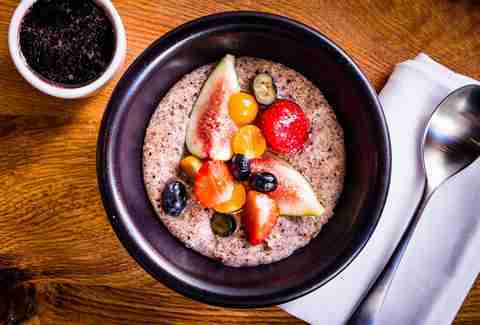 At Ceviche’s little sister over in Shoreditch, welcome to a broader taste filled with fried bread & chili jam, Picante de Huevos, and its deceptively healthy (your taste buds won’t believe you) quinoa porridge. 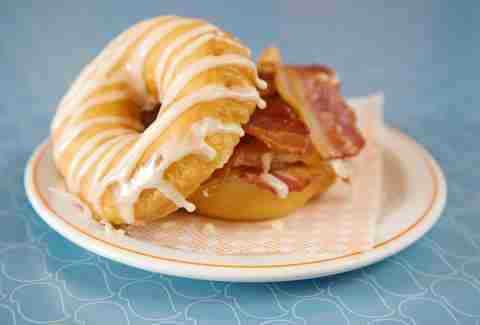 We have never looked back to the dark time before the glorious day when the ingenious team at BIRD thought to take bacon and sandwich it in a maple glazed fresh donut. Thank you, BIRD, for giving the scary side of noon a bright, bacon-y ray of sunshine. 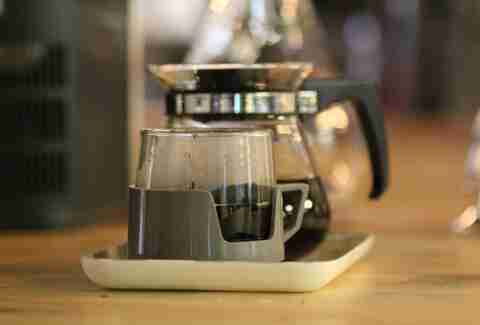 This warehouse-esque restaurant/roastery/land really raises the bar for breakfast. Not content to just roll out a couple pastries and/or eggs to pair with its fresh-roasted java, it pulled out the big guns and loaded on dishes like the jalapeño corn bread, or the courgette & corn fritters with chilli jam and herbed feta, or the BBQ baked beans with chorizo.